The challenge of the National Multiple Sclerosis Society is to reach more people and better help those who need us most. We must help people affected by MS to be full participants in society, and we must expand our efforts to ensure that the best and most promising research is funded. These challenges reflect our goals, which are to discover the cause, advance therapies, and find a cure for MS.
…meet the special needs of individuals with MS.
…fund the exploration of all important scientific leads. …work to end the devastating effects of multiple sclerosis. We appreciate and need all gifts, great and small – Thank you! Together, we can make a difference, one person at a time, one day at a time. 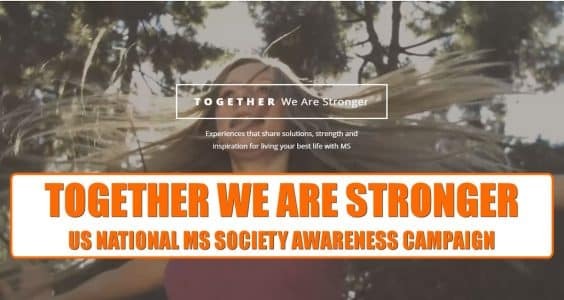 Chapter funds are raised through special events such as the MS Walk , Great West MS 150, MS Challenge Walk, Dinner of Champions, Women Against MS Luncheons, memberships, and annual giving. Sixty percent of all money raised stays in Colorado to fund local programs. The balance supports national programs and research to find the cause and cure for multiple sclerosis. We are proud of our financial profile: we keep fundraising and administrative costs low while providing quality programs and services. The National MS Society is a 501(c)(3) organization, and donations are tax deductible to the full extent of the law.